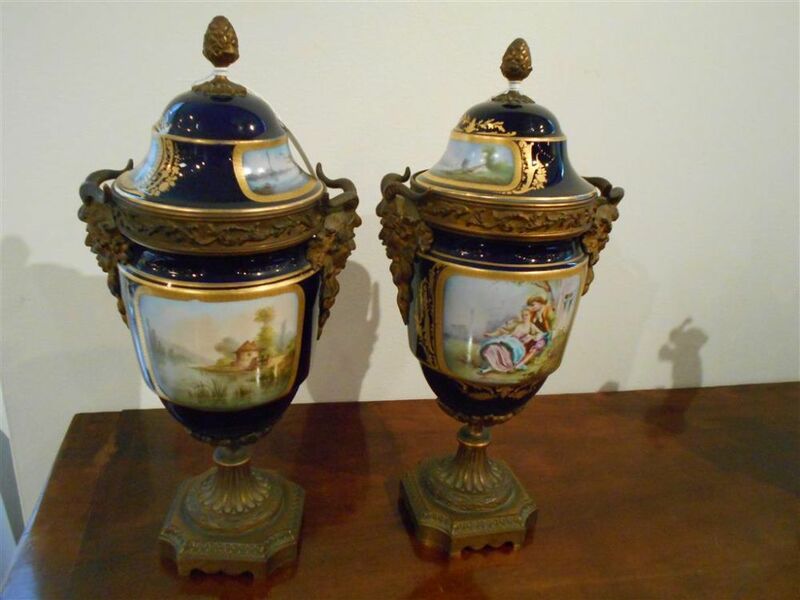 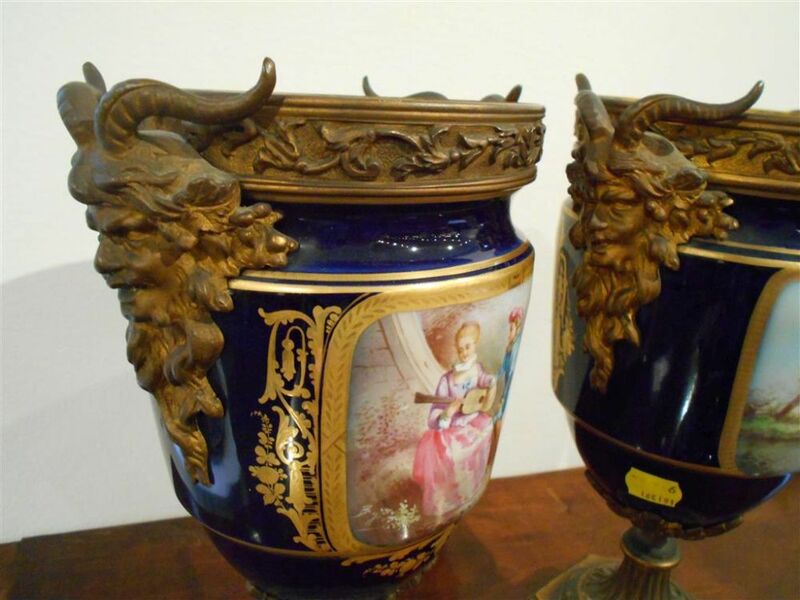 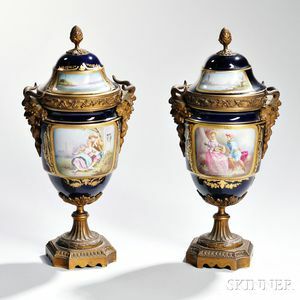 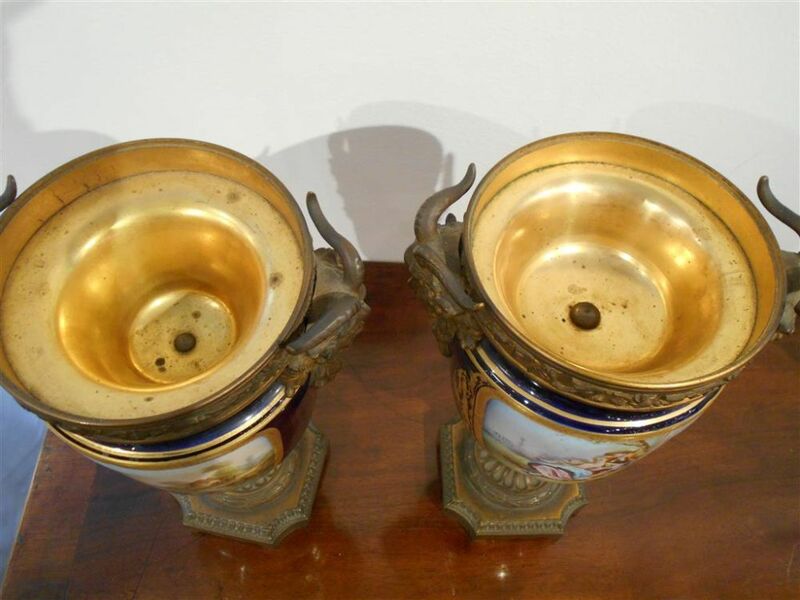 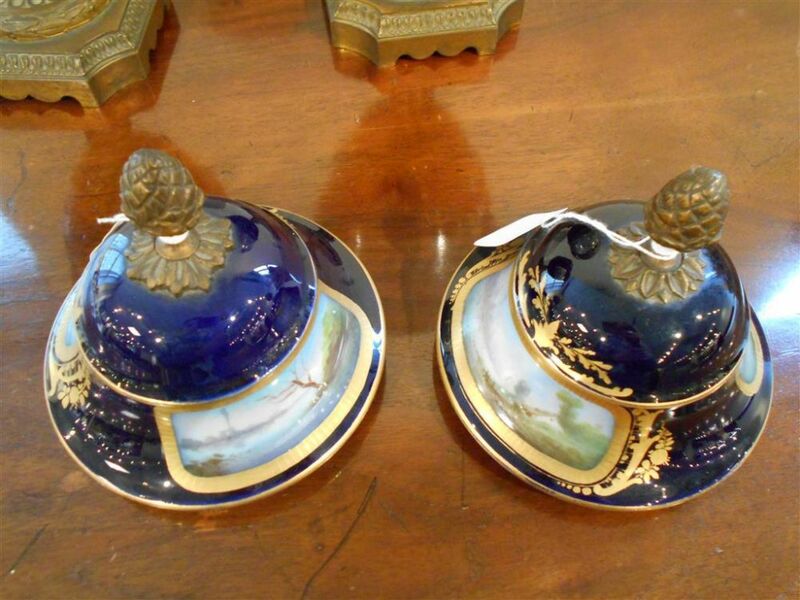 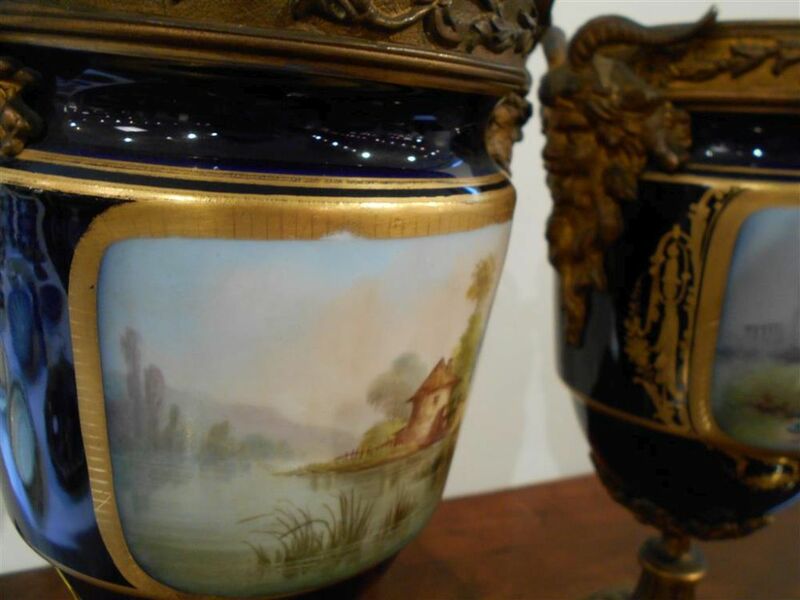 Pair of Sèvres-style Gilt-bronze Mounted Candle Urns, France, late 19th/early 20th century, each with cobalt ground and courtship scenes of couples, with acorn finial atop lid with river scenes, body with mask mounts, on metal foot with square base and chamfered corners, ht. 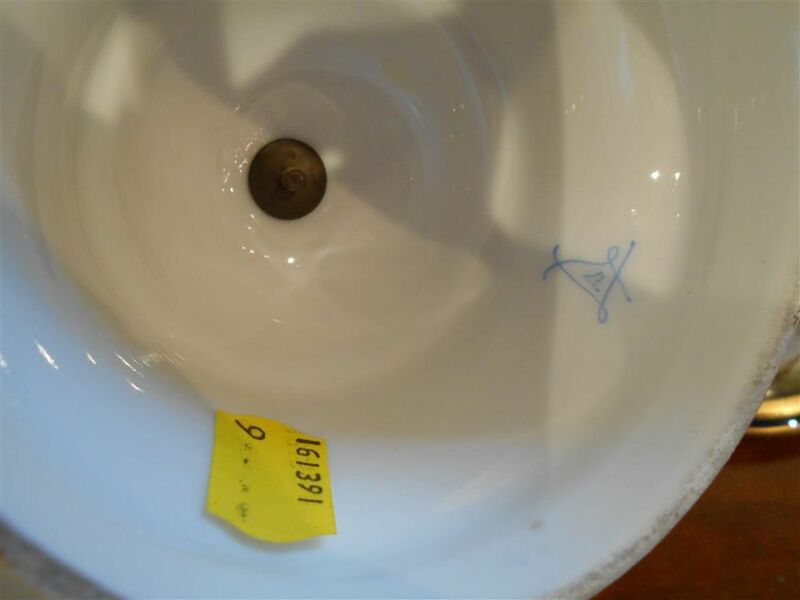 14 1/4 in. 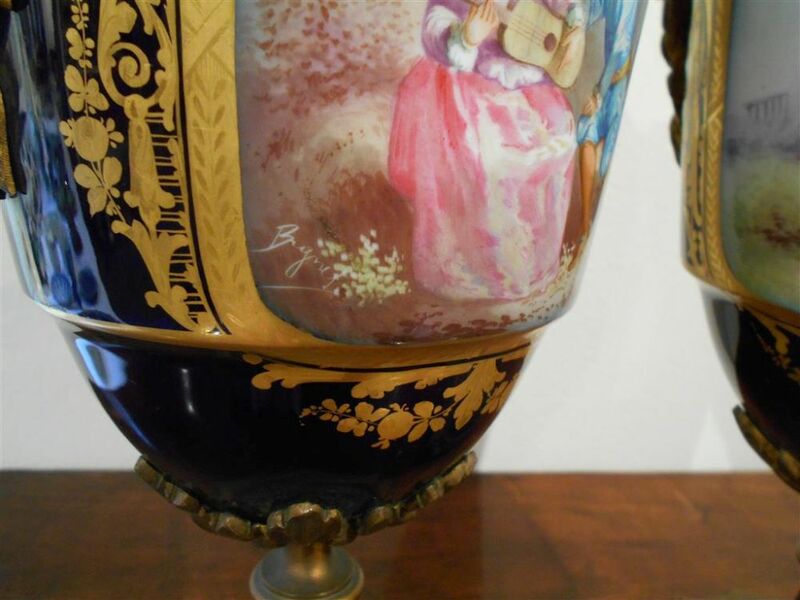 Both paintings signed, one possibly "Beignet", other possibly "Rouel". 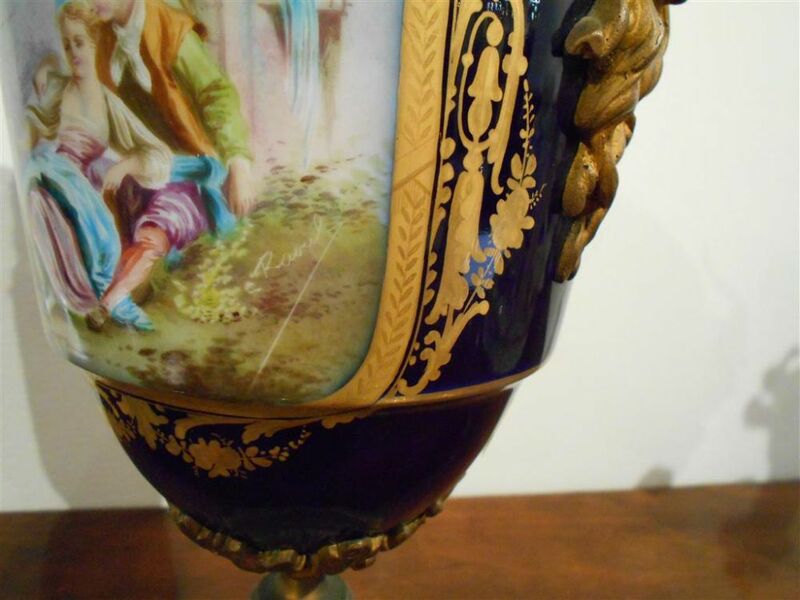 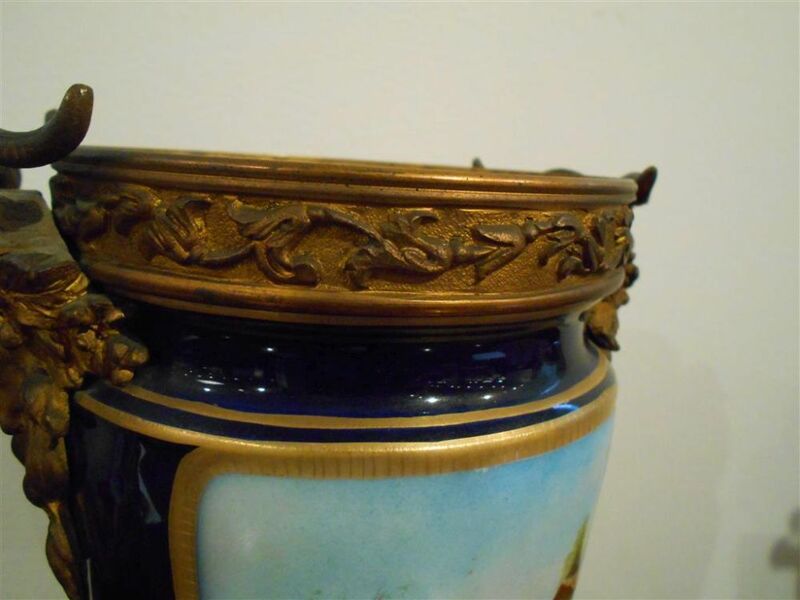 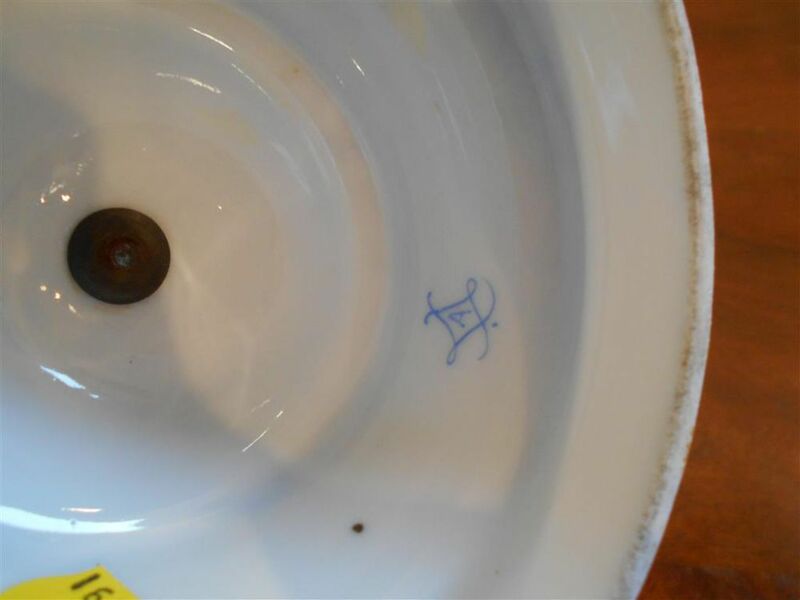 Some scattered nicks and losses to gilding, particularly on rims and surfaces of lids, with wear and rubbing to bronze overall.